1. 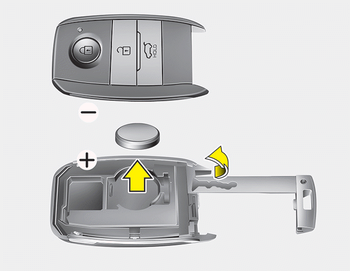 Insert a slim tool into the slot and gently pry open the folding key center cover or Pry open the rear cover of the smart key. For transmitter replacement, we recommend that you contact an authorized Kia dealer. The keyless entry system transmitter is designed to give you years of trouble-free use, however it can malfunction if exposed to moisture or static electricity. 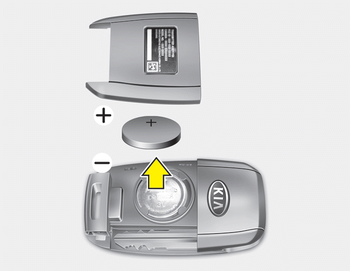 If you are unsure how to use or replace the battery, we recommend that you contact an authorized Kia dealer.